Hey, remember how I told you to shake up a jar of All-Purpose Stir-Fry Sauce? 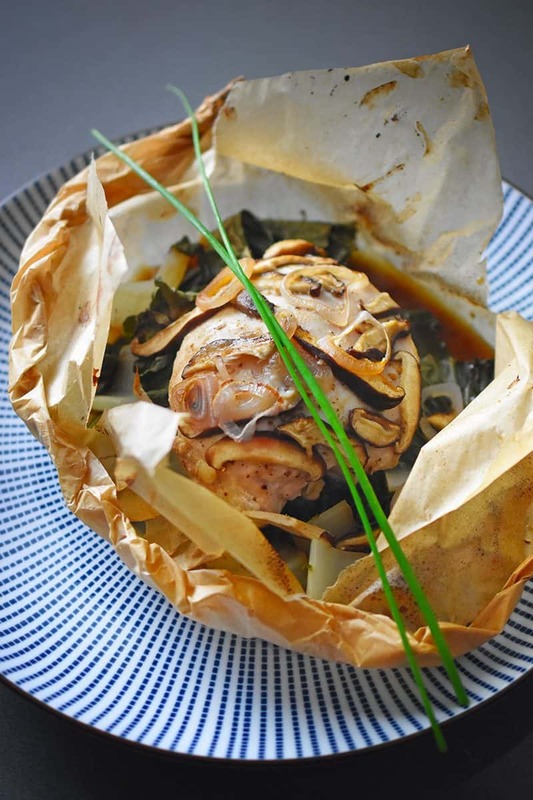 Good, ’cause you’ll need it for today’s Whole30-friendly recipe: Paper Wrapped Chicken! This is one of my favorite recipes from our latest New York Times bestselling cookbook, Ready or Not! 150+ Make-Ahead, Make-Over, and Make-Now Recipes by Nom Nom Paleo. If you haven’t grabbed a copy yet—DO IT! 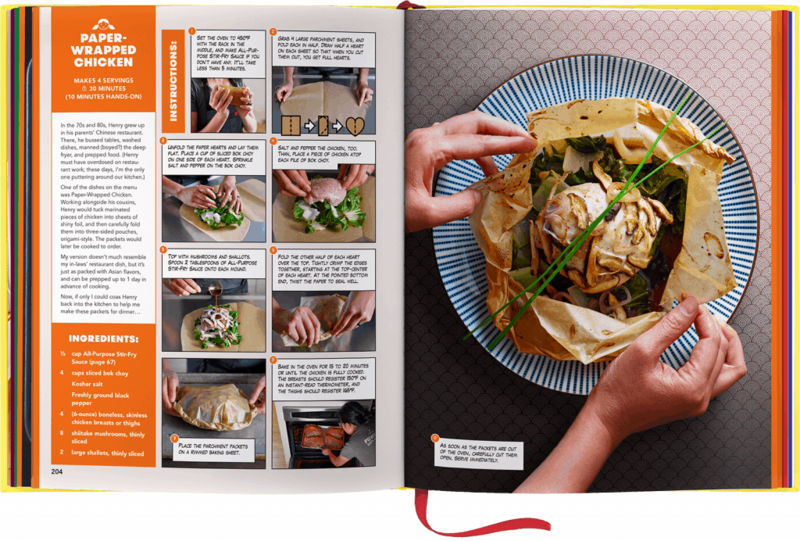 It’s packed with dishes that are perfect for your Whole30 and beyond, all presented in a deliriously fun comic book style with step-by-step photos. See? Plus, our cookbook has four weeks of Whole30-friendly meal plans and shopping lists in it! Anyway, back to the recipe! In the ’70s and ’80s, Henry grew up in his parents’ Chinese restaurant. There, he bussed tables, washed dishes, manned (boyed?) the deep fryer, and prepped food. (Henry must have overdosed on restaurant work, though, because these days, I seem to be the only one puttering around our kitchen. 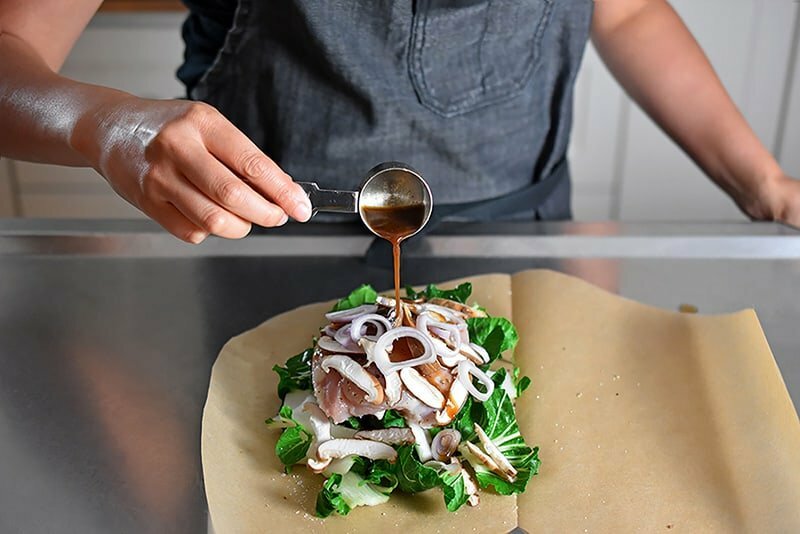 One of the dishes on the menu was Paper-Wrapped Chicken. 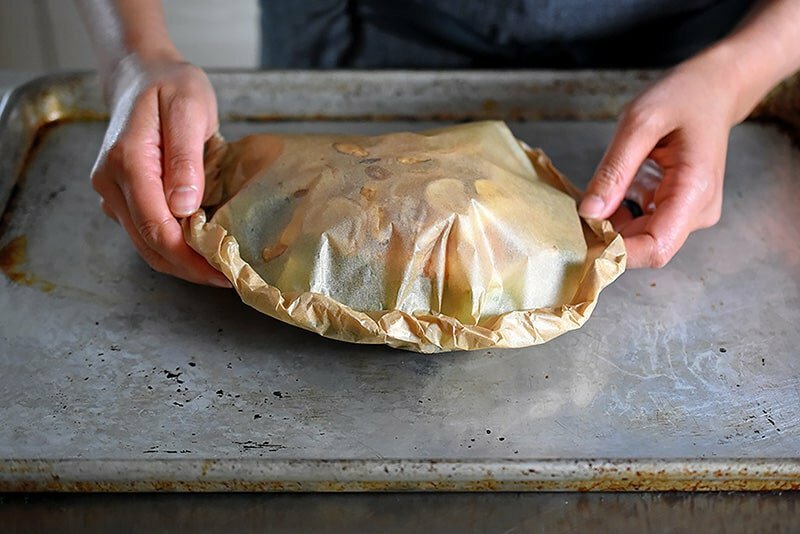 Working alongside his cousins, Henry would tuck marinated pieces of chicken into sheets of shiny foil, and then carefully fold them into three-sided pouches, origami-style. The packets would later be cooked to order. 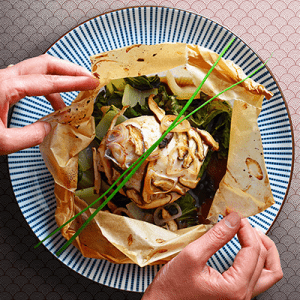 My version doesn’t much resemble my in-laws’ restaurant dish, but it’s just as packed with umami-rich Asian flavors, and can be prepped up to 1 day in advance of cooking. Unfold the paper hearts and lay them flat. 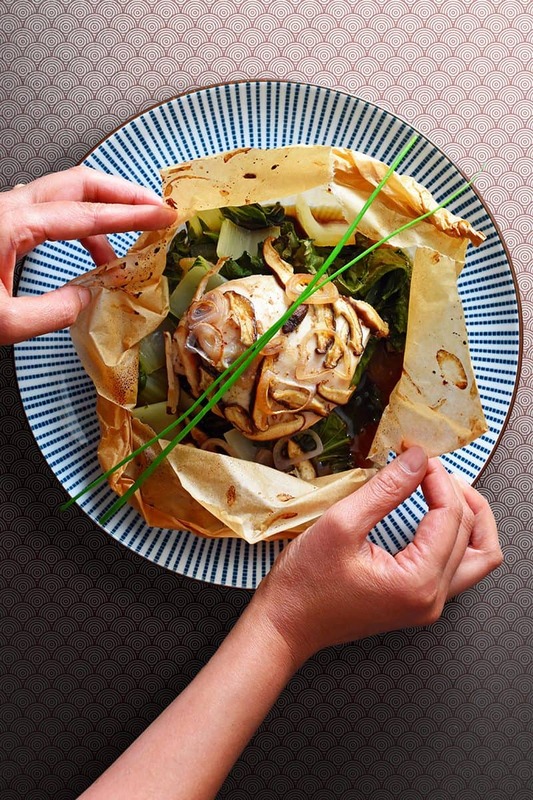 Place a cup of sliced bok choy on one side of each heart. 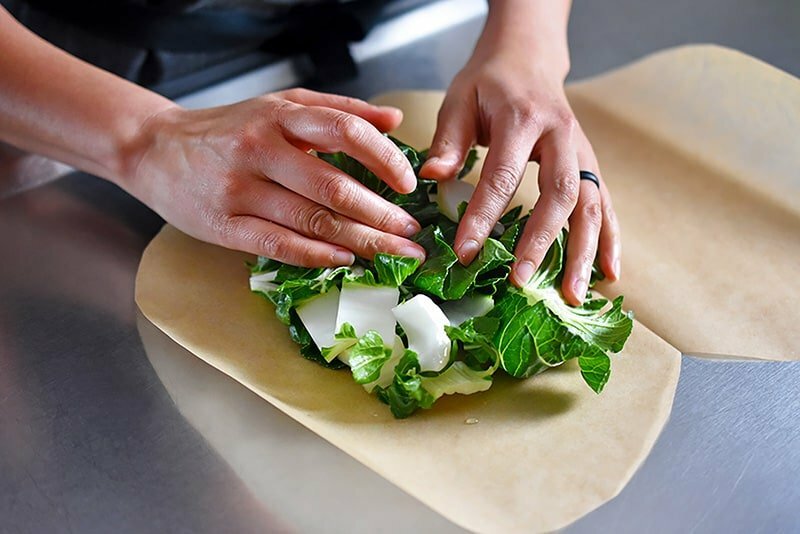 Sprinkle salt and pepper on the bok choy. Salt and pepper the chicken, too. 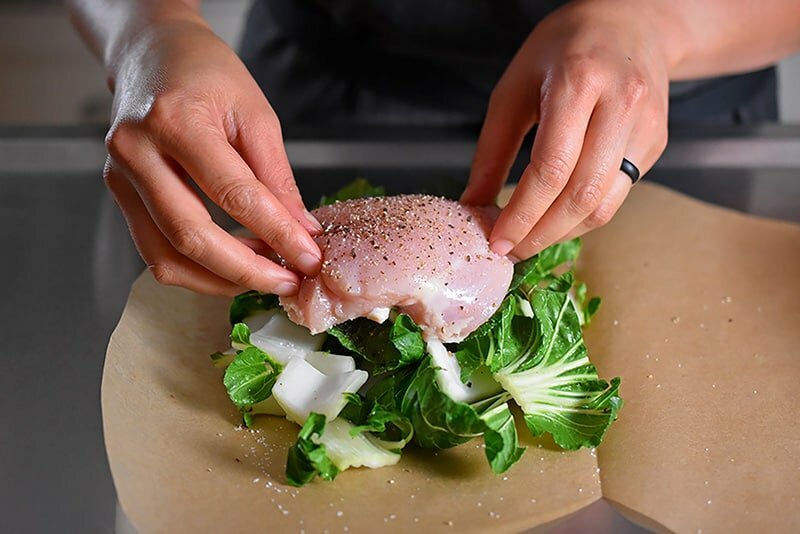 Then, place a piece of chicken atop each pile of bok choy. Top with ¼ of the mushrooms and shallots. Spoon 2 tablespoons of All-Purpose Stir-Fry Sauce onto each mound. Fold the other half of each heart over the top. Tightly crimp the edges together, starting at the top-center of each heart. At the pointed bottom end, twist the paper to seal well. Repeat steps for the three remaining chicken packets. 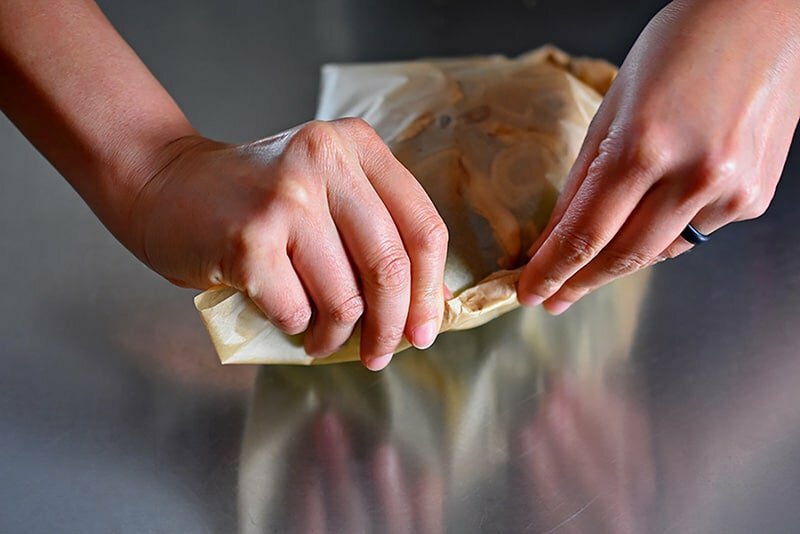 Place the parchment packets on a rimmed baking sheet. Bake in the oven for 15 to 20 minutes or until the chicken is fully cooked. 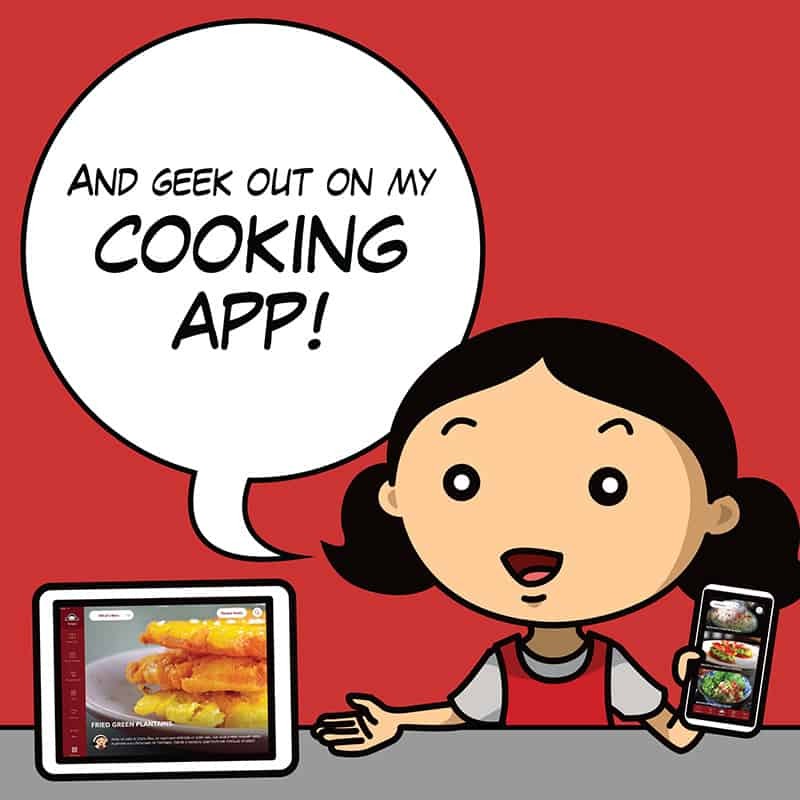 The breasts should register 150°F on an instant-read thermometer, and the thighs should register 165°F. As soon as the packets are out of the oven, carefully cut them open. Serve immediately! Unfold the paper hearts and lay them flat. Place a cup of sliced bok choy on one side of each heart. Sprinkle salt and pepper on the bok choy. Top with ¼ of the mushrooms and shallots. Spoon 2 tablespoons of All-Purpose Stir-Fry Sauceonto each mound. 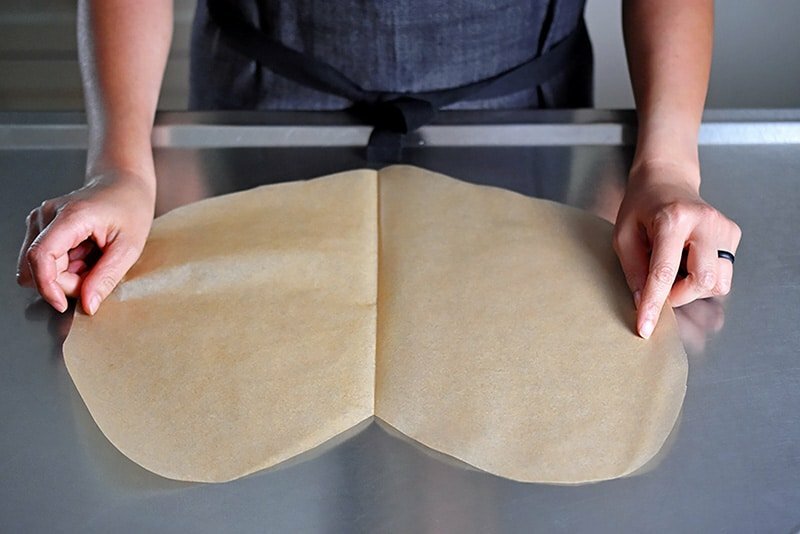 Place the parchment packets on a rimmed baking sheet. 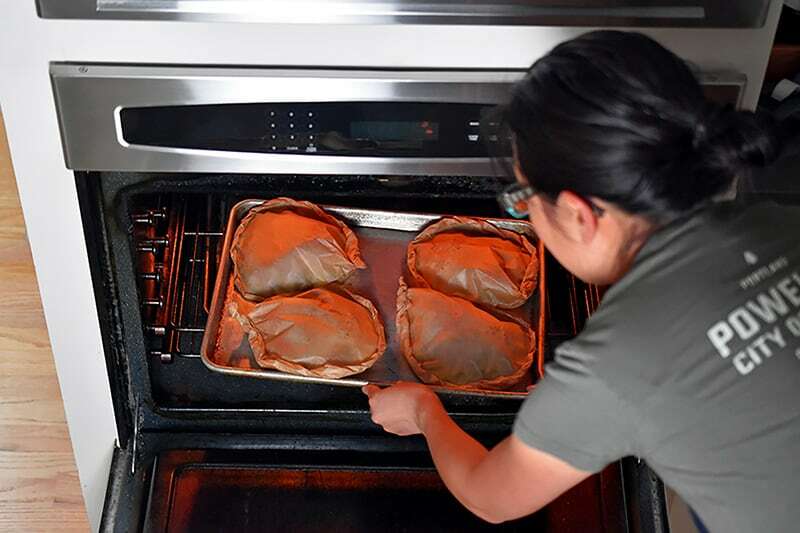 Bake in the oven for 15 to 20 minutes or until the chicken is fully cooked. The breasts should register 150°F on an instant-read thermometer, and the thighs should register 165°F. Feel free to substitute whatever veggies are in season in place of the bok choy!